Here is an original painting of a Montana Elk around 1940 s, unsigned, unframed. The painting is seen behind a 19th century Iron Fireplace surround used as a frame...it is sold separately. Approx. 24” X 19” inches. Here is an original painting of a Montana Elk around 1940 s, unsigned, unframed. 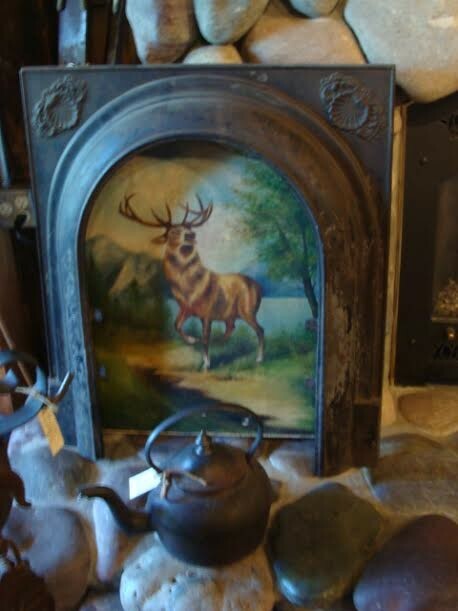 The painting is seen behind a 19th century Iron Fireplace surround used as a frame...it is sold separately. Approx. 24” X 19” inches. Please email cowboycabin@centurytel.net with questions or call 406 270-2842.